Even though I arrived late, I was greeted with the friendly and welcoming team of Going Straight Salon. 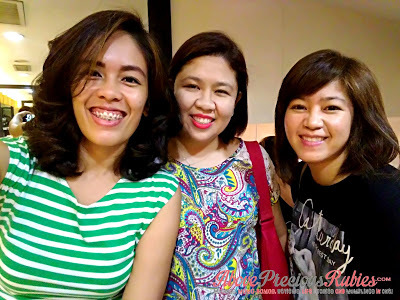 Good thing we were still waiting for 2 more bloggers when I arrived, lol! But seriously, I was late because of traffic and it so happened that Nate woke up before I left, so I had to make an “escape”. haha. Lively is the new generation professional line for coloring and protecting hair. Its special formula, without ammonia and parabens, does not damage hair and does not irritate the scalp, providing a delicate coloration, suitable for sensitive skin. 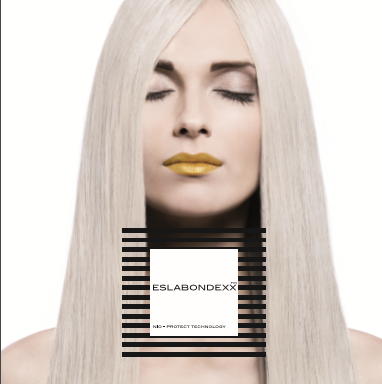 The color is intense, natural, bright, and provides a perfect coverage of white hair. 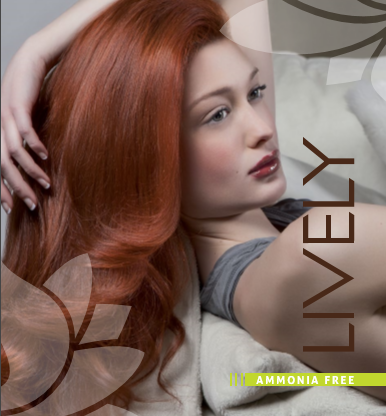 Lively is not only coloration but also a veritable nourishing treatment that takes care of the hair structure, thanks to the use of active ingredients of natural origin, such as sweet almond oil and lotus flower, known for their soothing, softening, moisturizing and invigorating properties. After the event, we got to try Lively on our hair, and this is an awesome product. You know the smell of salon products right? The smell of chemicals on your hair when you go outside the salon after having your hair treated? yes? No, I never had that smell with Lively! 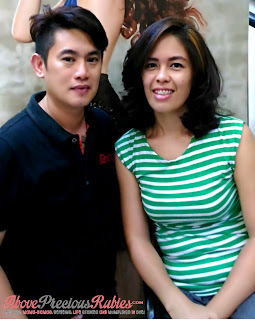 Dane used to tell me “Amoy salon kana naman, love” every time I go home after having my hair treated at the salon. If only Dane is here, he’d be the first person to say he never smelled any chemical on my hair! Fact: However gentle the formulation, a chemical process always damages the hair: it breaks internal bonds, leaving the hair dry, brittle and ultimately weak. ESLABONDEXX™ is used in combination with any chemical hair treatment, prevents damage before it can even start, preserving and protecting the hair structure whilst the chemical treatment is acting: in fact, ESLABONDEXXTM strengthens the hair structure delivering elasticity, strength, enhanced condition, and preventing it from breaking. I don’t have my “before” photo, but my old hair was longer, pure black and frizzy, lol! I don’t know which one to choose, I think I like both hair! lol! Another reason why I didn’t ask for my color to be obviously far from black is because my mother would freak out when she sees me with hair color. She’s conservative and she thinks that we should not do anything on our hair/body because they’re wonderful for what they are. She’s right, I guess, but, I’m sorry nanay, I don’t agree with you, hehe. So if you are planning to have your hair colored anytime soon, head over any Going Straight salon branch and request for a Nouvelle® Lively products for your hair as soon as you sit on their chair! lol. Thirty years of experience and the constant search for innovation give birth professional high quality cosmetic products. On top of being a guarantee of hair care and attention, Nouvelle® is also synonymous with style and trend. that has created a new young and contemporary generation of colour and style. ranging from colour to hair care and styling. Going Straight Salon has been in the business of hair and grooming for more than 20 years. 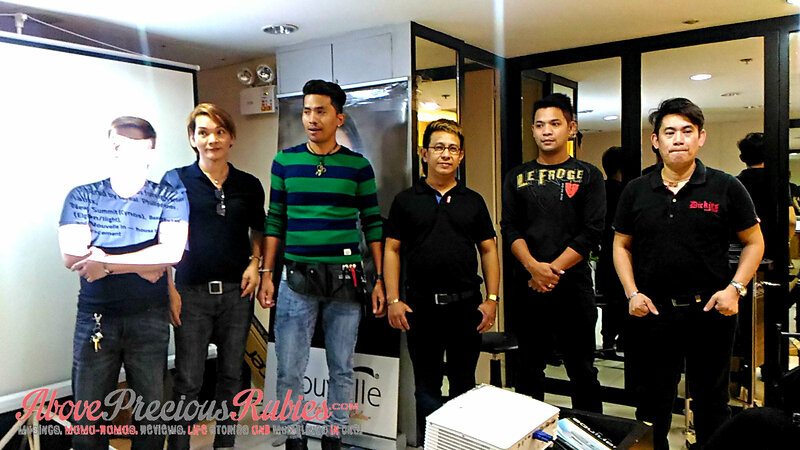 They started in 1993 as one of the few salons in the country to offer straightening. 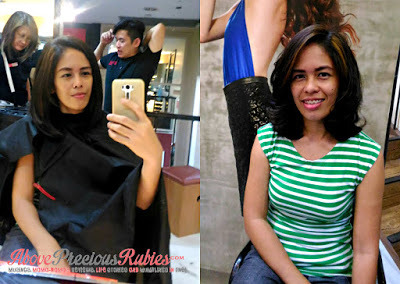 Today, GS is known not just for straightening and hair rebonding but also for a lot other hair styling and caring services. They also provide aesthetic services for the nails. Lucky me! I'm currently looking for a salon that can make my hair livelier, its a bit dry kasi. Btw, You look gorgeous on your new look! I'm curious what colors are available for the brand Lively. I'm actually thinking of coloring my hair a little bit. Gorgeous hair! I've actually never had my hair colored before hehe. I always wanted to do something extreme like blonde or red. Maybe I should? Haha. Would love to have my hair colored too but after I give birth na. 🙂 I've had my hair colored previously but this time I'm thinking of a color that's a bit more wilder, like dark purple. 🙂 Yours look good! Been hearing good reviews about Nouvelle and going straight salon. You have a lovely hair! I tried to avoid so much treatment with my hair actually but seeing these innovations make me think twice. I might try to dye my hair, but only the bottom part. 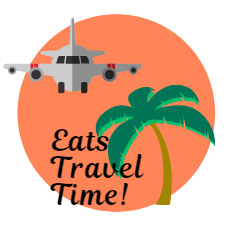 Love the new look! I'm planning to change my hair color so I'll visit going straight salon. They really did a good job with your hair. Wow! You guys look so pretty with the new 'dos! 🙂 It seemed like a good time to get pampered wouldn't you think? They did a great job with making pretty what was already beautiful. My mom freaked out too when I first got my hair colored, but I think she started to like it the more she looked, haha. AW, thank you!!! 🙂 I have a dry hair too. I'm actually thinking of getting a rebond. Aw thanks, being blonde never crossed my mind, I always thought magmumukha akong baduy. lol. Why not! Try it, this one was my first too, I didn't regret it. haha. Thank you! Yes, I think so too! Oh it sure was. A great "mommy time" for us. 🙂 haha, I can only imagine what my mother would say if she notices this new hair color. Good thing it's not too obvious.